Evergreen Energy wants the Earth to support its population sustainably, without compromising lifestyle or population size. A vision’s purpose is to be very ambitious, which this certainly is, however it can be broken down into more ‘bite-size’ chunks. To support the population as it is today, something has to be done when it comes to our reliance on fossil fuels. In the UK alone, the National Grid is under stress to cope with peak demands for energy. To meet these peaks in demand, we have to rely on coal and gas, as unfortunately Renewables aren’t reliable continuous sources of generation that can respond to demand. One solution is to build up renewables and technologies, where another is to reduce our demand entirely. Logically this can be achieved through energy saving initiatives, energy storage, and smart technologies for energy users. Switchee, a London-based start-up, is trying to tackle that. They have created a smart thermostat, designed to help affordable housing providers fight fuel poverty. Switchee automatically learns occupancy patterns and controls the heating to save residents save money, primarily by switching it off when nobody is at home. Simple, right? 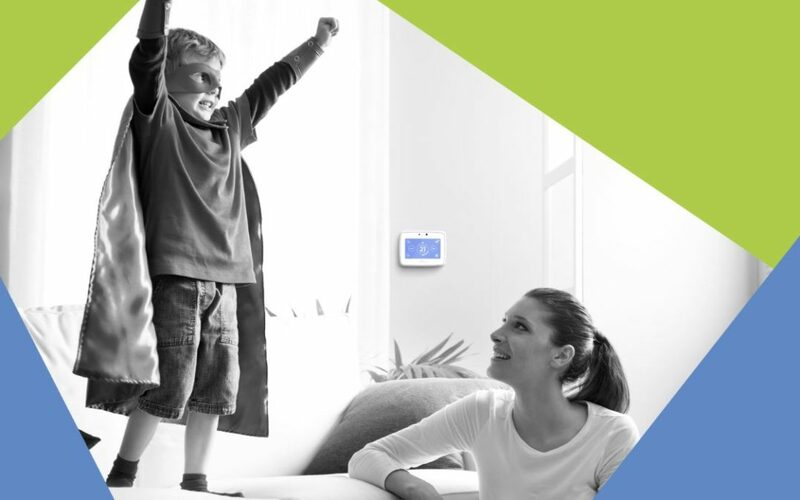 Evergreen were interested in supporting Switchee in their vision to fight fuel poverty and become the globally trusted provider for the connected and managed home. The solution is currently targeted at social landlords, both local authorities (councils) and Housing Associations. In addition to combatting fuel poverty at the resident level, Switchee also offers aggregated data and analytics to its social landlord customers: Landlords can see energy usage and building energy efficiency across their housing portfolios. In addition to energy efficiency benefits, Swichee also can also use its data to deliver asset management savings. It can provide thermal monitoring, use occupancy algorithms to reduce wasted engineer visits to empty properties and help detect mould growth in homes. The outcomes from Switchee analytics are not only aimed at helping landlords save money and therefore create the impetus for installing more Switchees, but also result in enhanced resident wellbeing. Switchee takes under an hour to install and can paying for itself within a 3 year period. In Spring 2016, Evergreen funded Switchee during their Seed Investment round, supported by ClearlySo. They closed the round at £605k. “The investment from Evergreen, as part of the Clearly So investment in our seed round, has enabled us to expand our pilot programme with Housing Associations,” Says Ian, Commercial Director at Switchee. So what next for Switchee? The management team’s main objective for the next 12 months is to convert its stable of pilot customers into full commercial orders. On the back of this a larger Series A round is planned for the second half of 2017., This will provide the capital base to achieve scale in the UK social housing space and from there move into other landlord verticals, such as Student Housing and the Private Rental sector.